Great news! We received $5M for a replacement SHRIMP instrument at the John De Laeter Centre in Perth that allows scientists to date rocks from Earth and beyond. Image: NASA/JPL. It is also a busy time and the last quarter has seen many changes and new opportunities. I would first like to take this opportunity to acknowledge NCRIS and the Department of Education for providing $5M for a new SHRIMP to replace our 25 year old John De Laeter Centre gem that has dated multiple mineral and petroleum systems of Australia, stimulated exploration, and been behind discovery of the oldest minerals on Earth, Mars and the Moon. There have been a number of changes in personnel within the AuScope community. We welcome Lesley Arnold to our Board. We also farewell and thank Rob Woodcock from his role as AVRE/GRID project leader and welcome Ryan Fraser in his place. And we congratulate Dietmar Muller for his Australian Academy of Science Jeager Medal as well as Brian Kennett and Chris Pigram for their Australia Day honours of AO and AM respectively. 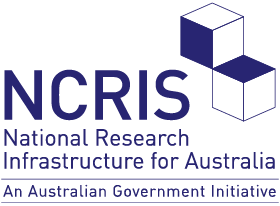 With a federal election just around the corner it is also timely to highlight the recent release of the National Resources Statement and the subsequent bilateral support for minerals exploration in Australia through a number of announcements from both major parties during Minerals Week in March. For more information please read our article about Australia's Minerals Challenge, the first of a series that we will publish in 2019. The changes at AuScope extend beyond personnel too. Please take the time to have a look at our new look website and also to check out the AuScope Virtual Research Environment. This is the newest iteration of the AuScope GRID project and will provide your one-stop-shop for Australian earth science research data and analytics. Together with the AuScope team, I look forward to bringing you more information regarding our ongoing strategy and investment planning process over the coming months and sharing a draft strategy document with you before the middle of the year. As always, if you would like to have input into the process please do not hesitate to get in touch or comment via our Slack channels. If you would like to discuss opportunities for collaboration with AuScope, please get in touch with Tim Rawling.